Acne can be one of those conditions about which insensitive jokes are made. Yet psychological research has shown that acne can lower self-esteem and is extremely stressful. One study has shown that unemployment rates are higher in both women and men with acne, showing that people with acne may be discriminated against. Though our society has been learning not to discriminate against people who are physically disabled, no one speaks up for the miseries of disabling acne. 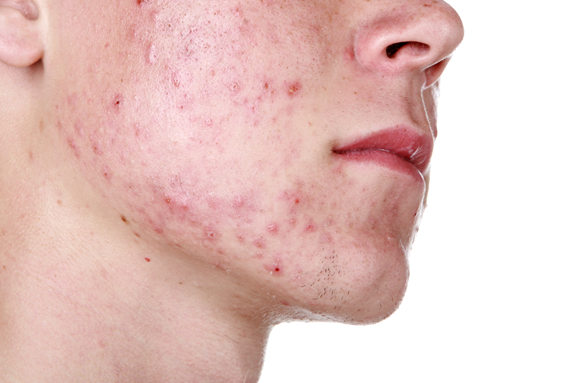 Acne should be regarded as a pressing medical problem, because permanent scarring may result. A few acne scars may not show, but an accumulation of scars over time can cause considerable damage to the complexion. If acne is enough to cause distress, it is best to get treated promptly to minimize scarring. A dermatologist should examine any lady with these symptoms. Male type hormones have the greatest effect on acne are the androgens—these so-called "male" hormones are present in both males and females. These androgens cause acne as they have a stimulating effect on sebaceous oil glands where acne lesions have their origin. Androgens tend to be present in relatively large amounts during adolescence and teenage years. The androgenic influence on sebaceous oil glands is great at this time. For this reason that acne is often thought of as a "teenage condition." As the body matures and androgen levels stabilize in adulthood, acne clears in most cases. Adult women are surprised when acne reappears in their 20s, 30s, or 40s—or appears for the first time in these years. While the acne is often mild to moderate, it may not respond to regular acne treatments that worked when the woman was younger. The cause of this adult female acne is probably a hormonal change. The necessary treatment will be one that considers hormones. This type of treatment is not an over-the-counter remedy. It is a medically based evaluation and treatment prescribed by a dermatologist after a complete medical examination. Typical examples of hormonal adult female acne: 1. Acne comes and goes during the menstrual cycle. 2. Acne "flares" during pregnancy as the body’s hormonal balances change. For more than very mild acne, hormonal testing is useful. This is the same as is carried out for extra hair growth or hair loss, and consists of measuring androgens to see if elevated levels are involved in causing the acne. However, even if androgen levels are normal, they are still involved in starting the acne process. Some, but not most, women with acne have a hormonal disorder. Evaluation by a dermatologist experienced with these conditions is a good idea for severe acne that is not controlled by over the counter medications, or when there are also irregular periods, increased hair, or a weight problem. Adult female acne may also be associated with chronic emotional or body stress. Stress may cause physiologic changes that alter hormone production. 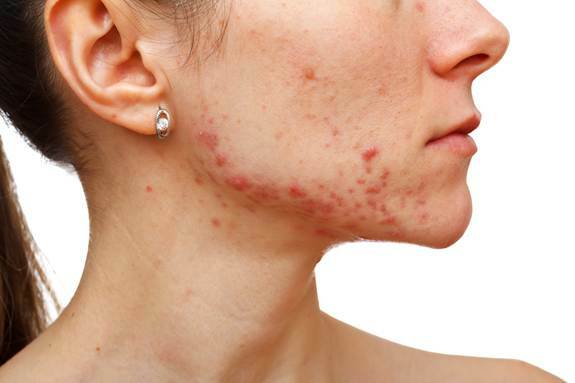 Acne in adult women may be associated with other abnormalities that influence androgen levels such as: The absence of menstrual periods or irregularity of menstrual periods. Excessive facial hair (hirsutism) or a "male pattern" of facial hair that indicates androgen excess. Female pattern baldness is much like male-pattern baldness in many ways and may indicate excess androgen production. Female pattern baldness is usually seen on the central scalp. A deepening "male type" voice, or darkening skin in the armpits or body folds, may indicate excess male hormone levels. Excessive production of androgens can be a contributing factor to the development of acne in any female with severe or sudden onset female acne associated with unwanted male type hair growth or irregular menstrual periods. 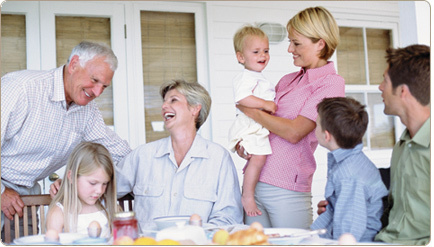 Diabetes can also affect hormonal balance. A female with acne and any of these symptoms should be examined for the possibility of an underlying adrenal gland, ovarian, or pituitary gland problem. PCOS is a somewhat common female hormonal disorder. One of the four main features of PCOS is testosterone-induced skin and hair changes. These are acne, increased facial and body hair and scalp hair thinning. Other features are irregular periods, difficulty controlling weight and metabolic changes. Female acne can be a sign of PCOS. If you have some of the other features, getting worked up for PCOS is a good idea. On the other hand, many women with hormonal acne have just acne and nothing else. Hormonal acne in an otherwise healthy female can be controlled by medication. First, any underlying disease of ovaries, adrenals, pituitary, or diabetes, should be worked up and treated by an appropriate medical specialist. After this, a variety of treatments are available for hormonal acne in the otherwise healthy adult female. The dermatologist selects the treatment best suited to the needs of the patient, based upon the patient’s medical history and examination. Treatment options include: Oral or topical antibiotics, Retin A or Differin, Accutane, low dose birth control pills (Yaz), oral steroids, and spironolactone. Many reports have shown that females with acne frequently have abnormal levels of circulating androgens. Hormonal treatment is not usually the first line in female acne. But in relation to the possibilities, particularly the tetracyclines, this may be a choice when one prescribes a pill like ortho tricycline to a young woman presenting with mild acne and requests contraception. However, antiandrogen treatment is sometimes mandatory, especially in resistant acne in adult women and/or in female acne which is resistant or relapsing rapidly after treatment with Accutane® and which is often related to hyperandrogenism. Oral contraceptive pills are estrogen-progestin combinations formulated to alter the female hormone pattern. Dermatologists have prescribed low-dose oral contraceptives for many years for the treatment of hormonal acne. Because of their effects in altering androgen production, the Food and Drug Administration recently approved an oral contraceptive specifically for the treatment of mild to moderate hormonal acne. Oral contraceptives can be taken for extended periods of time to control hormonal acne if the woman has no plans of becoming pregnant. Side effects of low-dose oral contraceptives can include nausea, weight gain, menstrual spotting and breast tenderness. A patient may or may not experience side effects. Oral corticosteroids are anti-inflammatory medications that belong to a class of drugs produced by the adrenal glands. When adrenal glands are overactive in producing androgens, oral corticosteroids such as prednisone can be prescribed to suppress androgen production. Oral corticosteroids can also suppress inflammation in severe acne. Side effects of oral corticosteroids can include weight gain and bone thinning. Spironolactone or Aldactone is an antiandrogen belonging to a class of drugs that (A) reduce androgen production in ovaries and adrenal glands, and (B) block androgen reception by cells in sebaceous glands. Reduction of excess androgen and reduction of androgen available in the glands are specific anti-acne effects. Taking the drug together with an oral contraceptive may ease side effects of irregular menstruation and breast tenderness. Other side effects include changes in electrolytes and blood pressure. Spironolactone is not FDA approved for the treatment of adult female acne, however many dermatologists and gynecologists prescribe it for its antiandrogen benefits. Good skin care is very important for women with acne. However, good hygiene is unlikely to cure acne. For that, medication is needed. Despite what you’ve heard, diet is not an important factor in acne. Chocolate and high fat foods do not cause acne, and eating less of these foods, though it may be good for health overall, will not solve an acne problem. Acne is not due to poor hygiene. Basically, if you have acne it is not anything you are doing, it is what your hormones are doing. Moisture Face Lotion is an oil free non-comedogenic face lotion, which is excellent to use in moisturizing faces with acne. A soap-free skin cleanser is best. Soaps with perfume or high moisturizer content may cause problems. Astringents contain alcohols, which dry the skin. Although use of an astringent may make the skin feel less oily immediately after use, it will not stop the increased oil production involved in acne and may irritate the skin. Abrasive preparations should be avoided. Some women with acne notice that it gets better after sun exposure. But, sun is not a good way to control acne for two reasons. 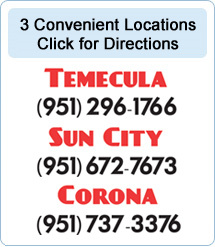 First, long term sun exposure greatly increases the risk of skin cancer (including melanoma). Second, though the skin dries up initially after sun exposure you may experience a rebound later when oiliness actually increases. Sunbathing may therefore exacerbate acne in the long run. Use of a non-comedogenic sunscreen lotion. So, while acne is not caused by poor hygiene, a good routine can help it. For mild acne, regular use of a gentle skin cleanser at least twice a day, and a daily application of over the counter preparation with salicylic acid or benzoyl peroxide, can produce some improvement. But if a regular skin care routine does not help enough, a visit to a dermatologist is the next step. Certain women with severe hormonal acne do not get adequate clearing with standard acne therapy. In this situation, therapy directed at hormonal causes may yield much clearer skin. If you have persistent acne and want to consider hormonal treatment, your therapy may require both a dermatologist and an endocrinologist or gynecologist with special expertise in female hormone problems. Treatment varies depending on the individual but usually involves lowering free testosterone and protecting the oil glands from this hormone. Counteracting the hormonal cause of acne often clears up the skin when the conventional measures have failed. Oral contraceptives can be part of hormonal acne treatment because they lower free testosterone. Also, the addition of testosterone blocking medications can dramatically clear the skin. Spironolactone (Aldactone®) is usually quite effective. Though often used with an oral contraceptive, spironolactone can also be used by itself. Spironolactone was originally developed as a blood pressure medication. It blocks aldosterone, a blood pressure-raising hormone. Aldosterone results in retention of sodium and is thus responsible for high blood pressure. Because testosterone is chemically similar to aldosterone, testosterone is also blocked by spironolactone. Although birth defects have not been reported with use of spironolactone to my knowledge, spironolactone induced birth defects are theoretically possible since spironolactone blocks testosterone. Thus, it is important not to get pregnant while taking spironolactone. Any acne treatment takes at least a few weeks to work. Once a breakout has occurred, healing is gradual. The best thing is to prevent the breakouts from happening in the first place. This is why acne treatments should be used all the time, not just when lesions appear. Isotretinoin (Accutane®) is a potent form of vitamin A. Accutane has made a great difference for some women with severe acne, but it can have serious pregnancy related or birth defect side effects and must be used very carefully with close monitoring. Absolute avoidance of pregnancy is essentially since fetal isotretinoin exposure can produce serious birth defects. Fortunately, once it is out of the body, isotretinoin will not affect pregnancy outcome. While isotretinoin has a place, especially in the prevention of severe acne scarring, hormonal treatment may also be necessary. This is because androgen blockers not only cut down on breakouts, they often give a brighter, feminine appearance to complexions damaged by acne. Unwanted hair growth and female acne do, unfortunately, go together because of a similar hormonal cause behind the two conditions. In both cases, androgens (testosterone and related hormones) act to trigger the condition. The initial event in acne is increased oil production. The oil is produced in the sebaceous glands, which are part of the same skin structure as the hair follicles. The two are part of the same skin structure, called the pilosebaceous unit. While the sebaceous glands respond to testosterone by making more oil, the hair root responds to testosterone by growing body hair that is longer, thicker, and darker. Sebaceous glands and hair follicles will respond differently to testosterone. The sebaceous glands respond immediately to testosterone so that acne usually appears fairly soon after testosterone levels go up. On the other hand, hair follicles, may take months or years to respond to testosterone so that increases in hair growth will appear at a somewhat later time than does acne. Not everyone follows this pattern however. Acne is an androgenic disorder, like hirsutism, which means the effects of androgens set it off. While androgens are often thought of as male hormones, this is misleading because adult women also have active androgen levels in their blood. Women’s levels are only about a tenth of those found in men. Androgens include testosterone, DHEA-S, and others. Free testosterone is the most important of these. Adult female acne may involve two possible mechanisms. One involves a high hormone level. In this case Dr. Jacobs checks the hormone levels and they are elevated. Another mechanism involves normal hormone levels but a higher than normal number of hormone receptors. The net effect is increased oil production. The first event leading to acne is stimulation of the sebaceous (oil making) glands by testosterone. Next, the pores form a plug, which block openings and trap the oil inside. Bacteria grow in the trapped oil, causing the production of irritating chemicals. Finally the body’s immune system comes into play. There is both good and bad news about this immune response. While the immune response fights the bacteria, it also causes redness, swelling, pus-like fluid, and scarring which make acne unsightly. Many women notice that their acne worsens in the week before their period. The exact reason for this common pattern is not known, but it is obviously related to hormonal changes during the cycle, perhaps a rise in testosterone at midcycle. In addition to pimples, increased oil can cause flat areas of inflammation on the skin. In the midline this inflammation is called seborrheic dermatitis. In the butterfly area of the nose and the skin next to it, the inflammation is called acne rosacea. The latter can be very embarrassing because it sometimes makes the nose red, which can be confused with the signs of excessive alcohol use. Around the mouth, the inflammation may occur as perioral dermatitis, a common condition in women. In addition to antibiotics. These may require topical therapy.